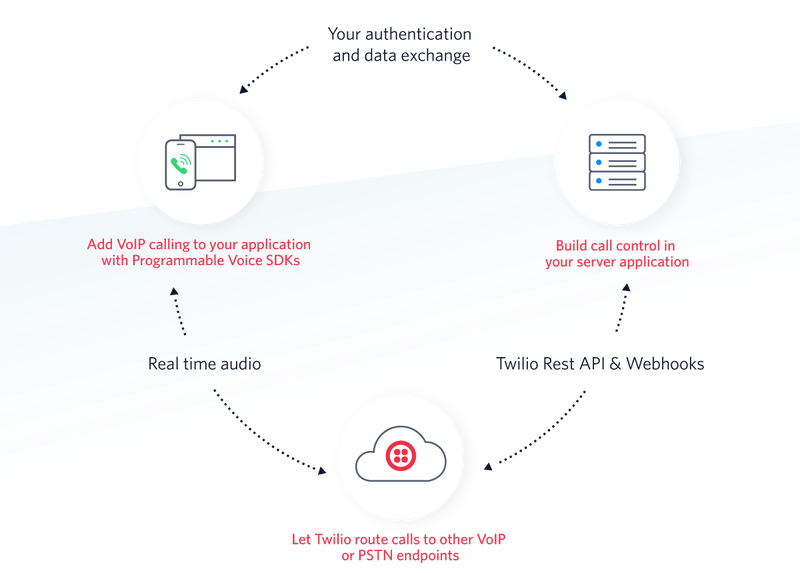 The Programmable Voice SDKs allow you to add voice-over-IP (VoIP) calling directly into your web and native mobile applications. We're always ready to help you with your implementation and best practices as you build with the Programmable Voice SDKs. Get help from our support team, or lean on the wisdom of the crowd browsing the Twilio tag on Stack Overflow. You can also get technical help on our sample application GitHub repos, and connect with other Programmable Voice SDK developers as you build your solution. To stay updated on Programmable SDK product developments follow our blog.